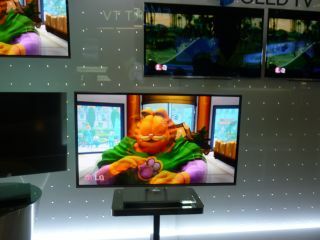 55-inch OLED TVs from Samsung and LG to hit CES 2012? Both LG and Samsung may be ready to showcase big-screen OLED TVs at CES 2012. The two companies are reportedly gunning for the pre-Olympics battle to get their biggest and best TVs into the world's living rooms. LG has already said that it will launch a 55-inch OLED television in 2012, although LG Display CEO Kwon Young-soo reckoned that it would land in the second half of the year, missing London 2012 by a whisker. But rumoured competition from Samsung and promise of serious sales inspired by the Olympic Games may have spurred LG on to get the sets out slightly earlier. However, LG already warned that its production run of large-scren OLED TVs will be low, and prices will no doubt be sky high and we can't see Samsung's offerings being any cheaper. Still, with the Olympics kicking off in July 2012, there's still plenty of time to win the lottery between now and then.